2. Pump has metal lined with rubber stator, which is made of various elastic material, such as NBR rubber, silicon rubber. 3. It could transfer high viscosity fluid and medium with hard suspended solid/fiber as well, like peanut butter, tomato ketchup, sauce, sesame paste, batter, jam, etc . 4. 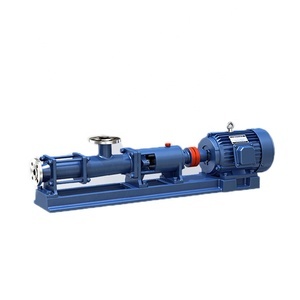 The mono screw pump could be equipped with ordinary motor, gear box motor, electric magnetic speed adjustable motor, CVT motor, frequency inverter motor according to customers's requirements. 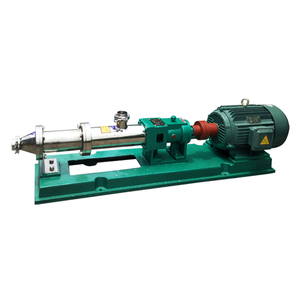 progressive cavity mono single screw pump used for sewage sludge, paper pulp, food,etc. 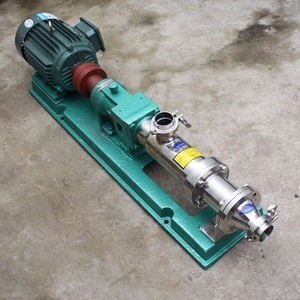 progressive cavity mono single screw pump used for sewage sludge, paper pulp, food,etc. 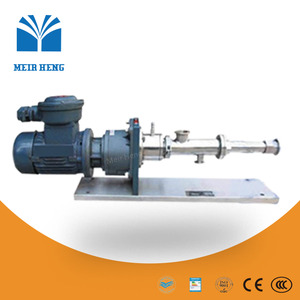 progressive cavity mono single screw pump used for sewage sludge, paper pulp, food,etc. ; To handle adhesive starch ,cooking oil ,honey, pulpy sugar, mashed fruit,cream and other leftovers; To handle paste in the industries of brewage,construction ,mining ,printing ,papermaking and etc. Alibaba.com offers 660 stainless steel mono screw pump products. About 97% of these are pumps. A wide variety of stainless steel mono screw pump options are available to you, such as screw pump, single-stage pump, and multistage pump. You can also choose from water, oil, and air pump. As well as from submersible, metering, and sewage. 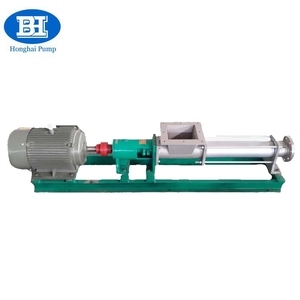 And whether stainless steel mono screw pump is low pressure, or high pressure. 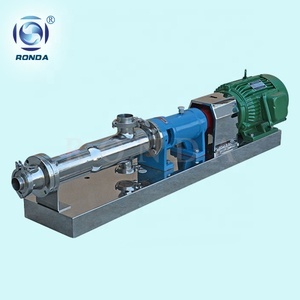 There are 660 stainless steel mono screw pump suppliers, mainly located in Asia. 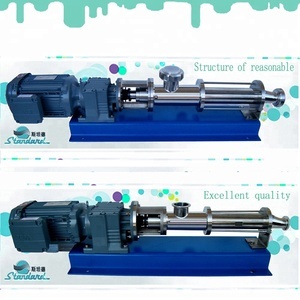 The top supplying country is China (Mainland), which supply 100% of stainless steel mono screw pump respectively. 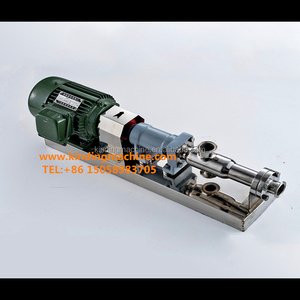 Stainless steel mono screw pump products are most popular in Southeast Asia, Domestic Market, and North America. You can ensure product safety by selecting from certified suppliers, including 340 with ISO9001, 85 with Other, and 22 with ISO14001 certification.